BYOD Security (Gold Winner) – EFTTM Workspaces allows employees to share their folders and files simply and securely on any device without IT losing governance, visibility or control. Compliance (Silver Winner) – Enhanced File TransferTM (EFTTM) exceeds security practices mandated by the most rigorous standards, including PCI DSS, FIPS 140-2, HIPAA, Sarbanes-Oxley, and many others. Data at rest and in motion is protected, while an auditing and reporting module identifies non-compliance and implements mitigation/workaround techniques. Cloud Security (Bronze Winner) – EFT Cloud Services combines the security of on-premises file transfer with the flexibility of the cloud for a secure and scalable cloud infrastructure. Email Security and Management (Bronze Winner) – Mail Express® allows users to send sensitive files easily and transparently through Microsoft Outlook or a web browser. 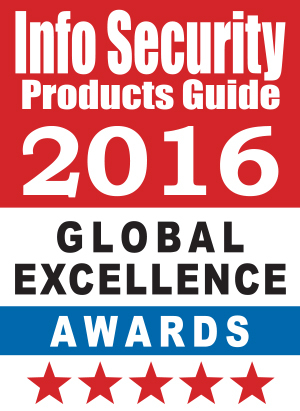 The 12th Annual 2016 Global Excellence Awards recognize security and IT vendors with advanced, ground-breaking products and solutions that help set the bar higher in all areas of security and technology.